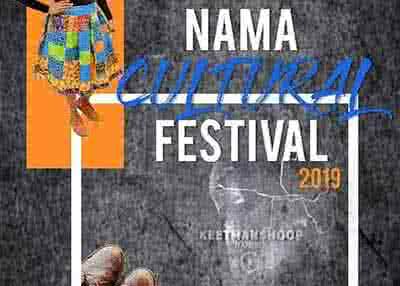 The Nama Festival is the biggest stage of cultural events on the Nama calendar. It will be the premier platform where Nama people will come together from north south east and west to celebrate our distinctly rich cultural heritage under a unified umbrella as Nama people regardless of tribe, clan, religious or political affiliation. The event will showcase every element of who we are as Nama people. It is the desire of the organisers that everyone attend this event in numbers so that we as brothers and sisters and as one people appreciate and celebrate our rich cultural norms. Free, secure on street and paid N$50.00 parking available. Camera`s, blankets and folding chairs. Drugs, weapons, alcohol, own alcohol, recording equipment, cooler box, gazebo`s, bottles (plastics) and braai`s. Kiosks, cash bar and food/ drink stalls available at the venue.